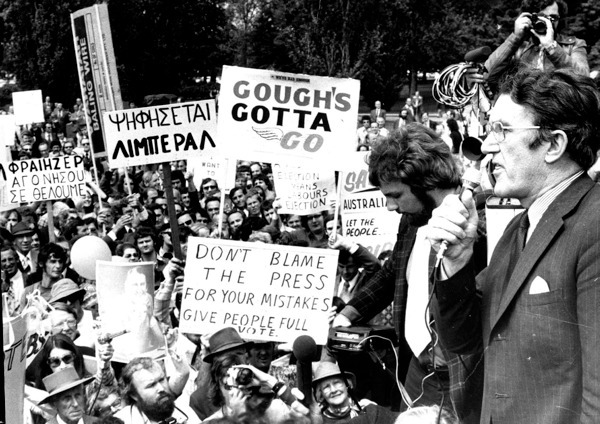 On October 15, 1975, two days after Rex Connor resigned from Cabinet, Opposition Leader Malcolm Fraser made his move. Fraser harnessed what he saw as his opportunity to catch Whitlam ‘with his pants well and truly down’. At 2:56pm Fraser announced that he would use his Senate majority to block Supply until the Government agreed to call an election. 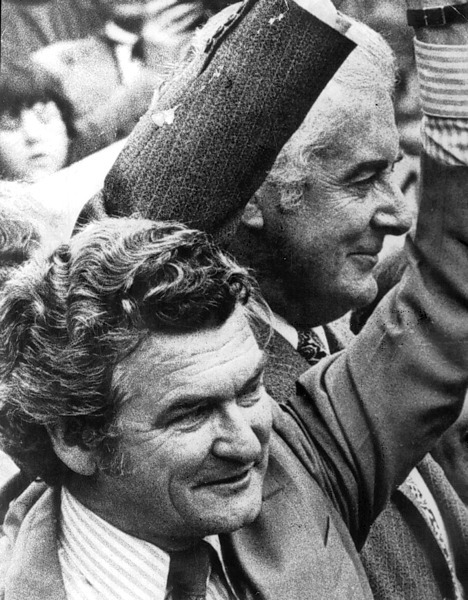 Gough Whitlam and ACTU President Bob Hawke stand united. 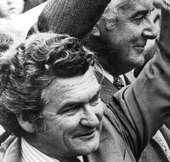 Hawke promises Whitlam the support of the unions throughout the turbulent weeks ahead. Image courtesy of The Herald and Weekly Times. 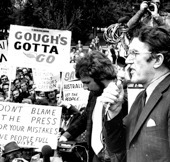 Malcolm Fraser (right) argues that the Whitlam Government has been the most incompetent in Australia’s history. Image courtesy of News Limited. 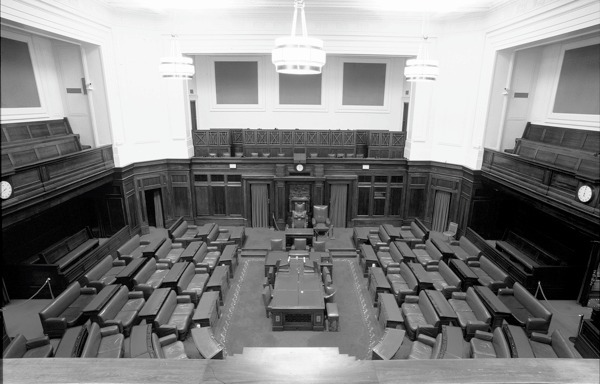 The Senate Chamber, Parliament House, scene of the start of the political crisis of October – November 1975. 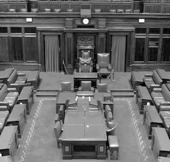 Museum of Australian Democracy collection.